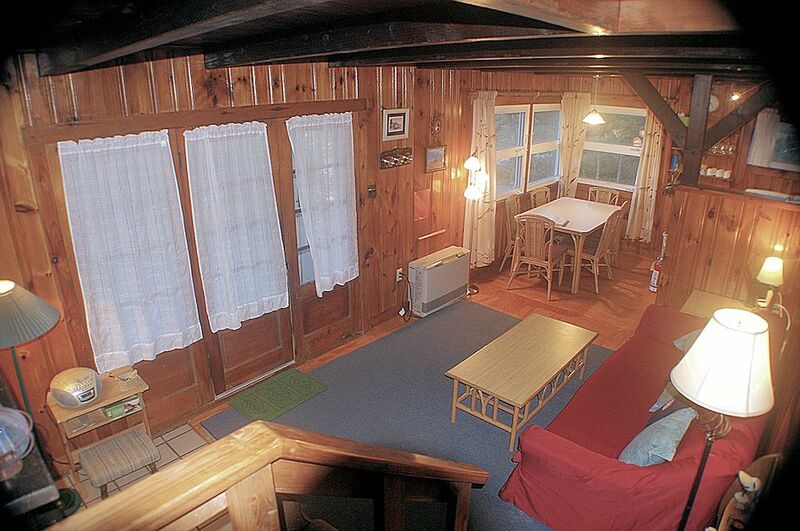 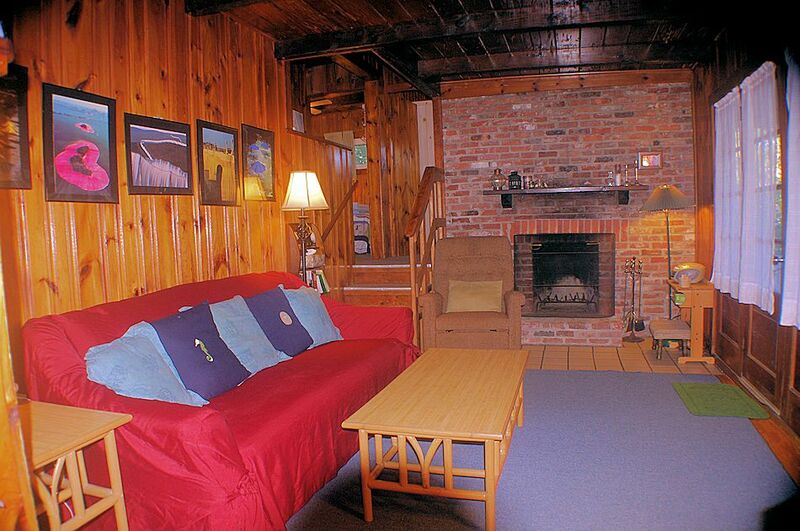 This cottage is a split-level with 4 stairs leading up from the living room to the bedrooms and the single bathroom. 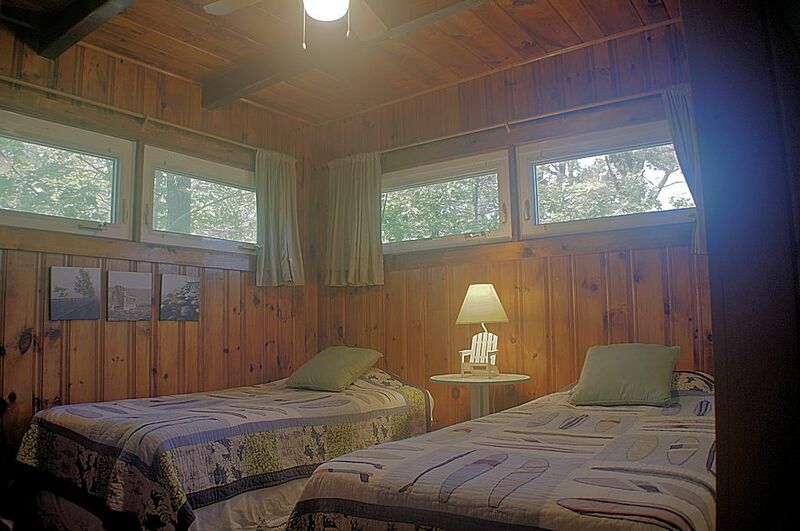 The bathroom has a shower and there is also an enclosed outdoor shower with hot and cold water. 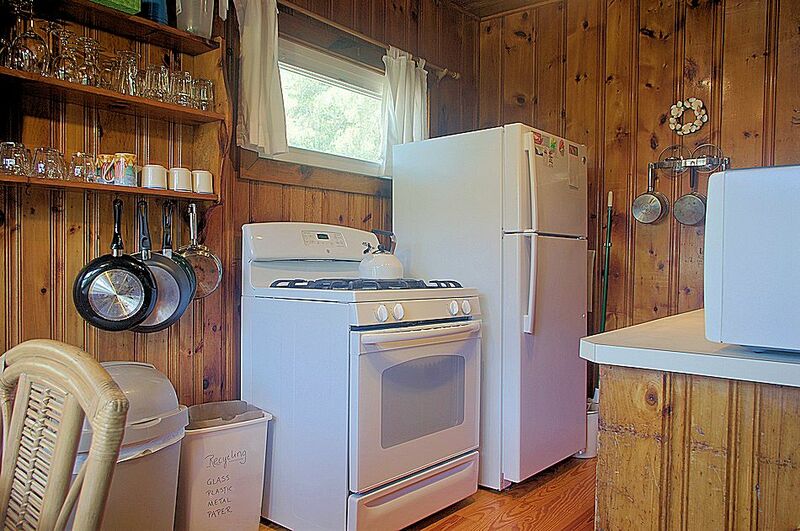 The water is heated by a tankless on-demand water heater (very energy efficient). 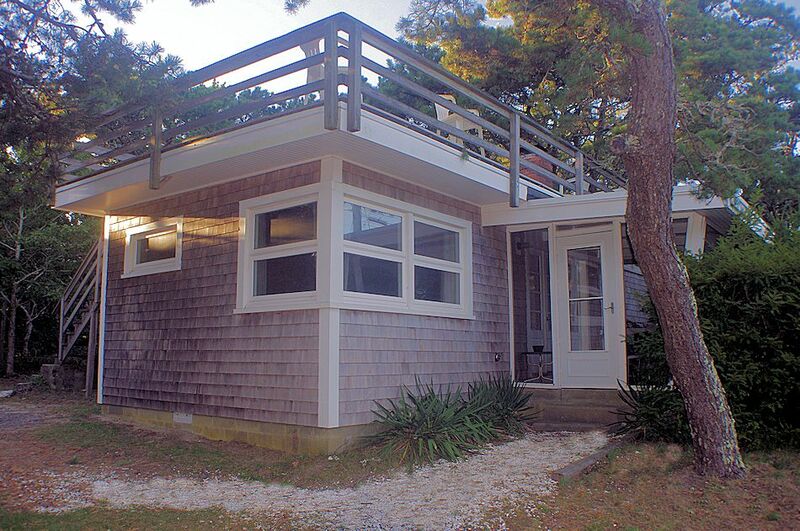 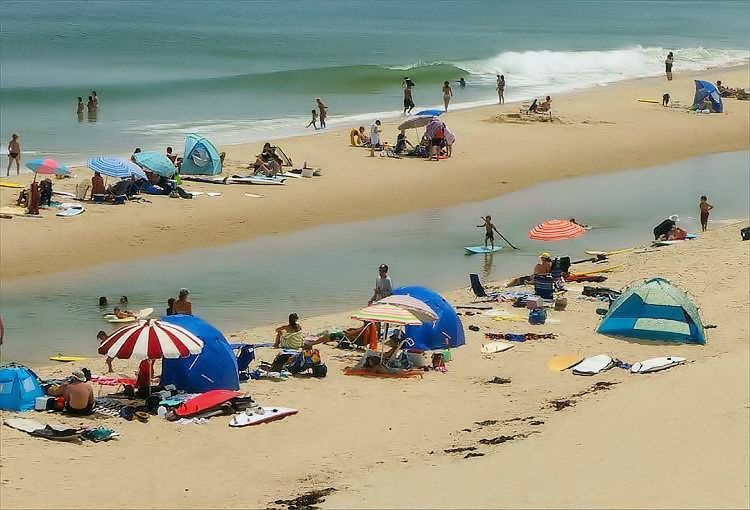 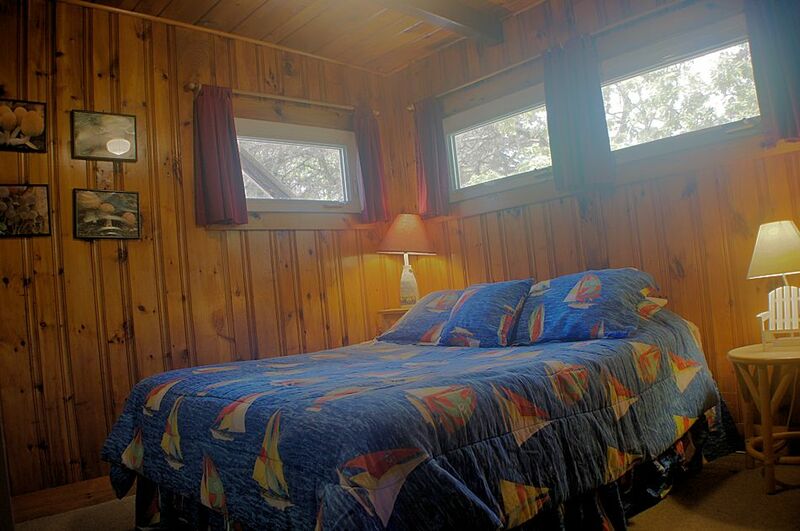 See Google's "STREET LEVEL VIEW" of Surf Rider cottage. 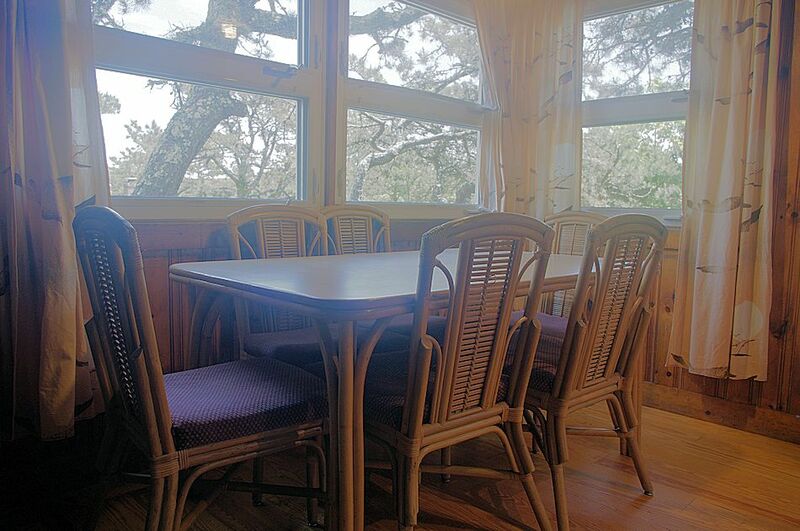 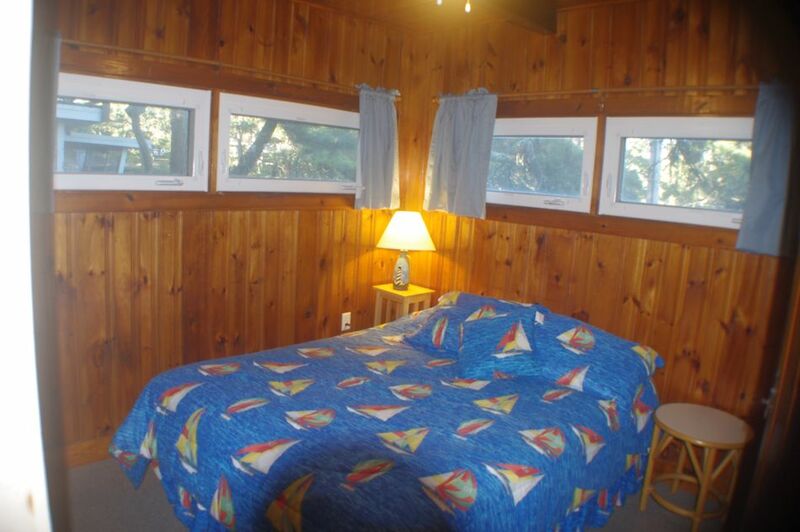 Surf Rider is a great cottage in a great location. 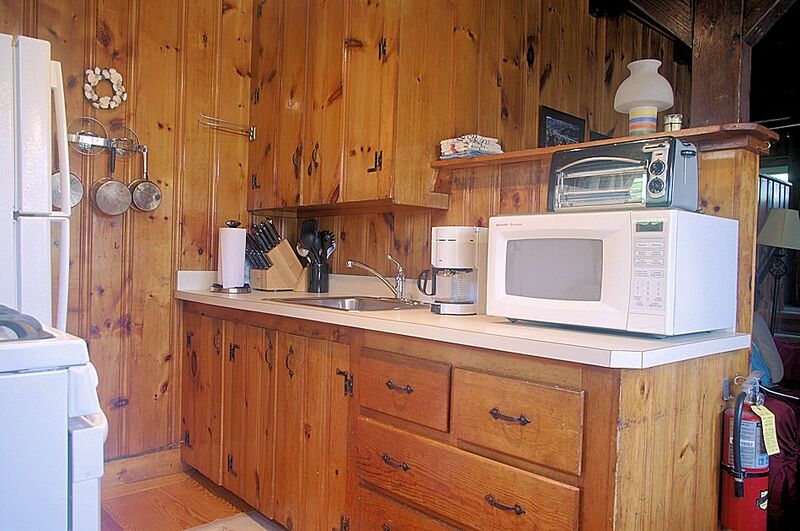 But don't take our word for it.